"Education for sustainability develops the knowledge, skills, values and world views necessary for people to act in ways that contribute to more sustainable patterns of living. It enables individuals and communities to reflect on ways of interpreting and engaging with the world. Speakers at BSFG meetings have included geographer Carol Hall, on her trip to the Arctic in 2010; Neil Garrett, ﻿owner builder of a Hempcrete house﻿; Professor Deli Chen on reducing nitrogen emissions from agriculture; Dr Nick Aberle on Environment Victoria's 'Six Steps to Climate Leadership' report; John Liddell from Beyond Zero Emissions; Pablo Brait from Market Forces: Your Money As A Force For Good, Strathbogie Sustainable Forest Group's Bertram Lobel and Andy Kimber from Wangaratta's Timor Leste Friends of Lacluta Friendship Group. 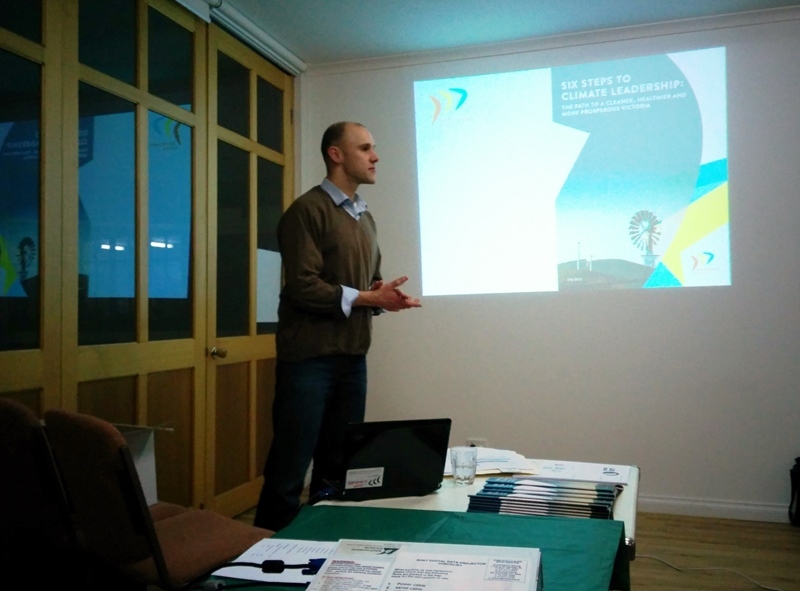 BSFG's Sustainable Building Action group actively works with Benalla's Council to present educational community forums on Sustainable Housing. Forums in 2014, 2015 and 2016 have focused on encouraging people building new homes to seriously consider sustainable energy efficient approaches to designing and building their home and people who are retrofitting existing homes to make them more energy efficient and more comfortable. .
BSFG partners with Swanpool Landcare and the Ge﻿cko CLaN ​in running the annual Swanpool Environmental Film Festival at the Swanpool Cinema. The Festival on 25th June 2016 featured three thought provoking films - 'Polyfaces', 'Anthropocine' and 'Tarkine In Motion' - alternating with presentations by inspirational guest speakers, Prof Kate Auty'; 'Polyfaces' co-Director Isaebella Doherty and Cinematographer Andreas Overdahl; Dr Kerryn Higgs' on ‘Collision Course: The Growth Delusion’ and Prof Michael Clarke's on ‘Ecological Literacy, ambivalence and inspiration’. 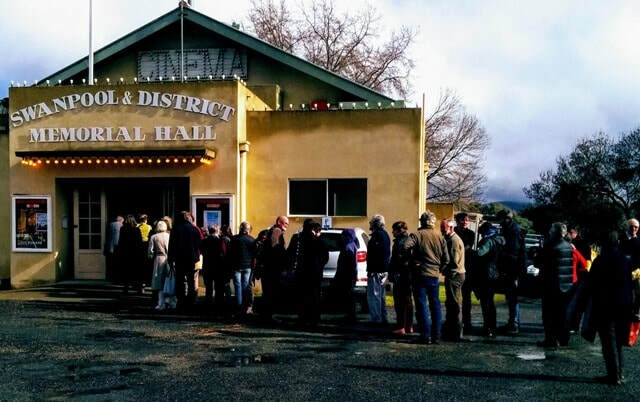 Session Three: Guest Panel chaired by Kate Auty featured Dr Ian Herbert; Bertram Lobert, Shirley Saywell and speakers from the Strathbogie Forests group who took action at the Barjarg coupe and was followed by the film ‘Paper Trail’. Catering by Swanpool Catering Team volunteers invariably sustains Festival audiences during breaks which provide opportunities for audience members to network and catch up with friends. Projects: BSFG members have active links to the educational Regent Honey Eater Project in its work to protect, restore and connect significant remnants of native habitat in the Lurg Hills near Benalla and to Winton Wetlands, the largest wetland restoration project in the Southern Hemisphere. Schools: A key objective of the BSFG website team is to provide a locally focused resource for teachers and students in Benalla and district schools to draw upon in researching topics and school projects. BSFG members make themselves available to school educators in educating for sustainability, drawing upon resources such as Cool Australia; Educating for a Sustainable Australia. School Environment Day, Term One, Benalla 2013 is an example of BSFG involvement with schools. 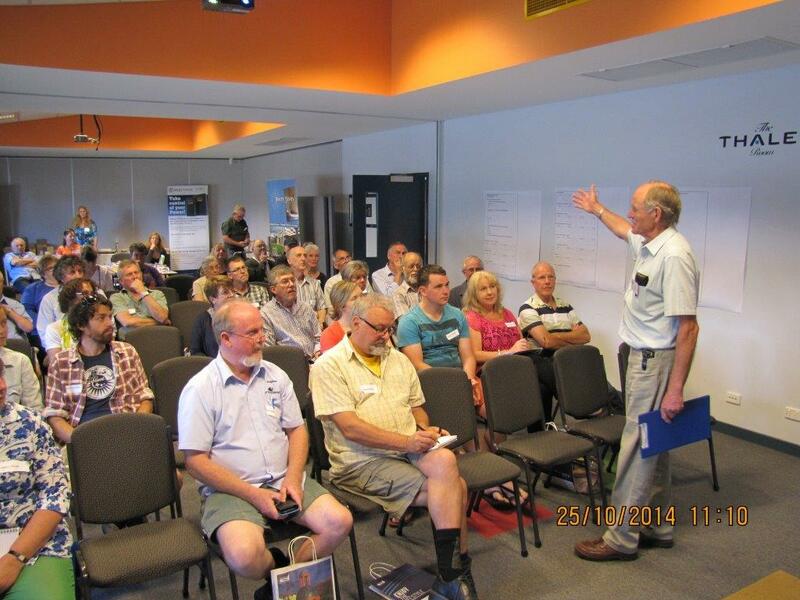 University of the Third Age: U3A Benalla and District's 'Towards a Sustainable Future' course is facilitated by BSFG President John Lloyd and most participants are also members of BSFG.